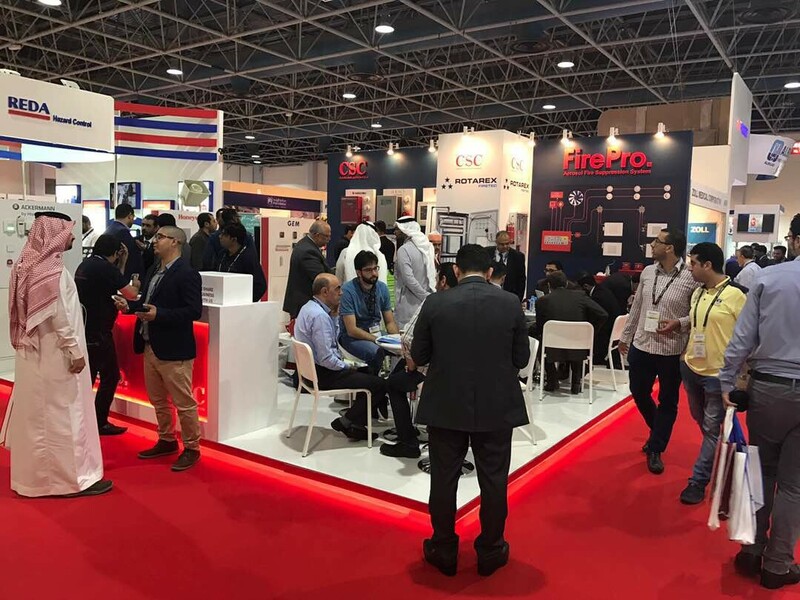 FirePro is proud to have been in attendance at the very first Intersec Saudi Arabia, where the company presented the FirePro product lines, solutions, designs and applications, and engaged with existing and potential customers and industry associates in the region. 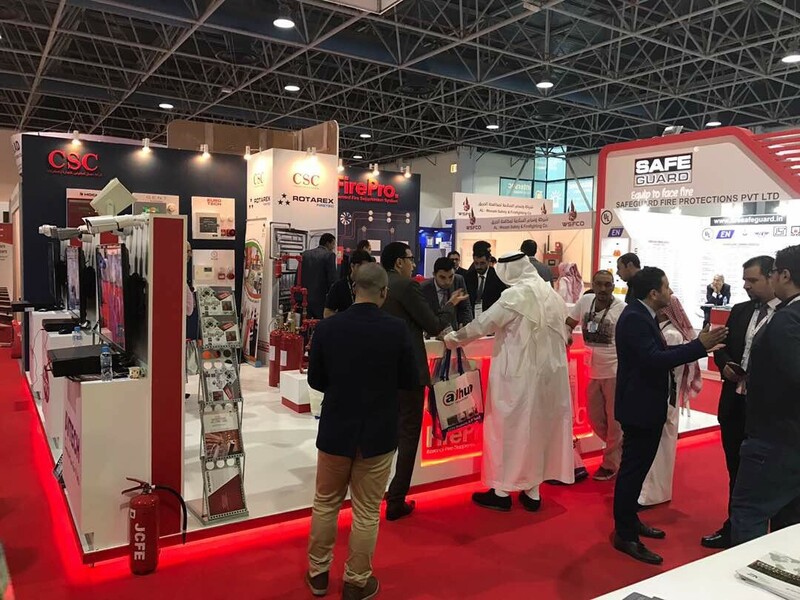 Intersec is the leading Trade Fair for Safety, Security and Fire Protection in Dubai, and it has recently launched a new edition in Jeddah, Saudi Arabia to meet the demands of the ever-growing Saudi Arabian security, safety, and fire protection industry. Hosted at the Jeddah Centre for Forums & Events, the event was held under the patronage of HRH Prince Khalid Al Faisal Advisor to the Custodian of the Two Holy Mosques and Governor of Makkah Region, and inaugurated on his behalf by HH Saud Bin Abdullah Bin Jalawi Al Saud, Deputy Governor of Makkah Region for Security Affairs. 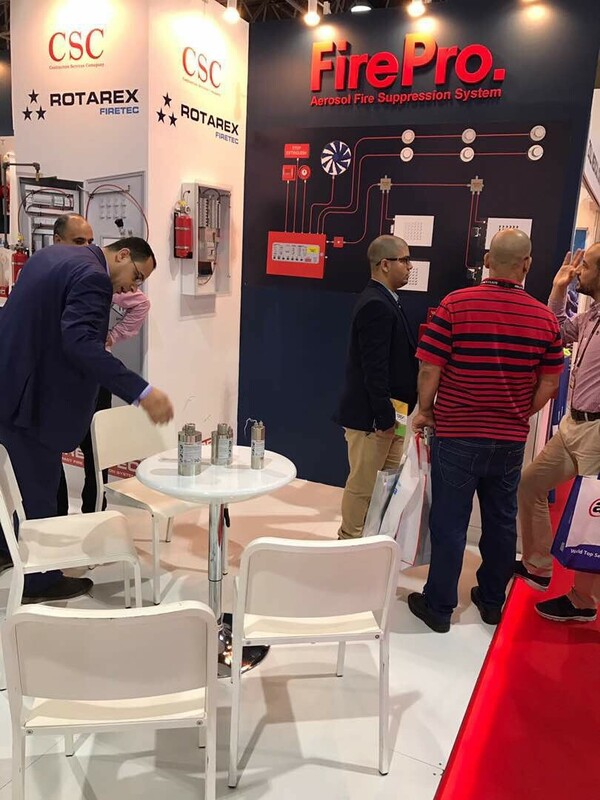 FirePro Business Development Manager Michel Bou Nader was joined by Magdy Abdul Aziz, Sales and Marketing Manager at FirePro partner Contractors Services Company (CSC) in Saudi Arabia, at the FirePro stand. The event provided them with great opportunities to set up productive meetings with key stakeholders and industry professionals, as well as to showcase the environmentally-friendly FirePro condensed aerosol fire extinguishing technology systems to all interested attendees. 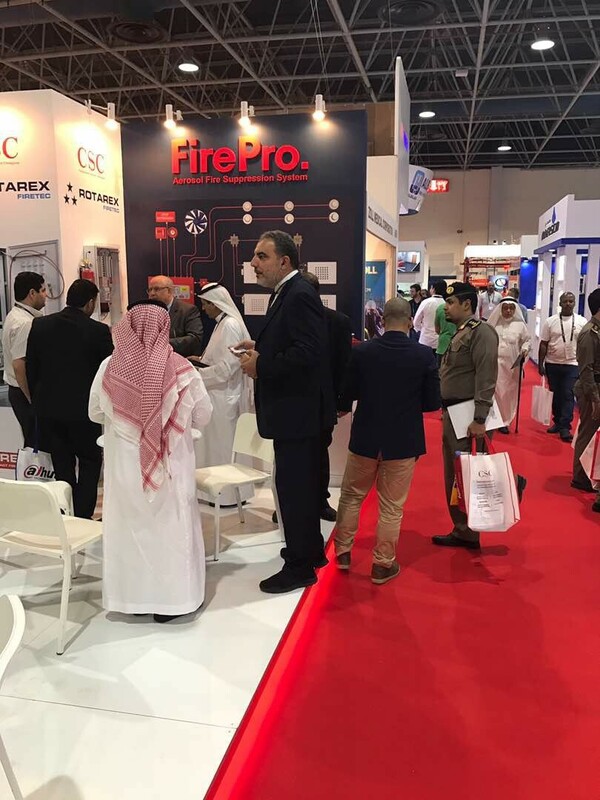 FirePro would like to congratulate Intersec for the success of their inaugural exhibition in Saudi Arabia, as well as our partner CSC for their assistance throughout the event. We look forward to seeing our partners and associates again at next year’s Intersec Saudi Arabia.